Potato Pearls range in shape from round to oval, and have a surface appearance that resembles a potato. Because of their uneven surface, they add character and uniqueness to any Necklace, Anklet, or Bracelet. 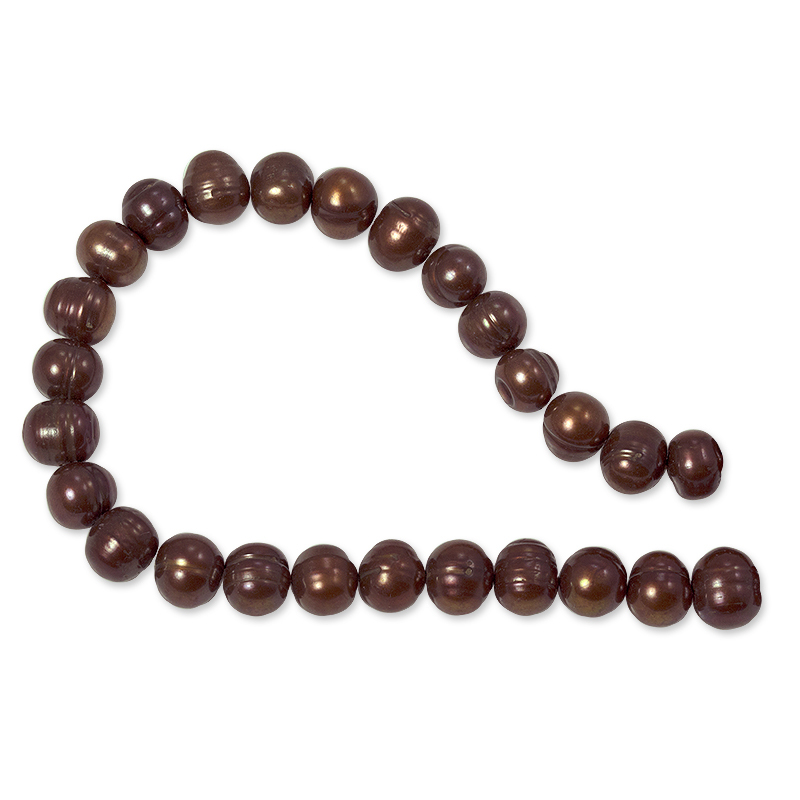 Our Pearls are graded A, A/B, B, B/C or C quality; A being the very best quality, while C, would be medium quality.